I've always been a bit of a perfectionist. I set high standards for myself and sometimes it's almost impossible to meet those standards. Doing this to myself can make it hard sometimes to look beyond what I see as my failures and see my accomplishments. It doesn't matter how many kind words I hear, all I see are the things that I haven't done, the standards I haven't met, the things in my life that aren't exactly the way I think or wish they should/would be. This year has been a really weird one for me. 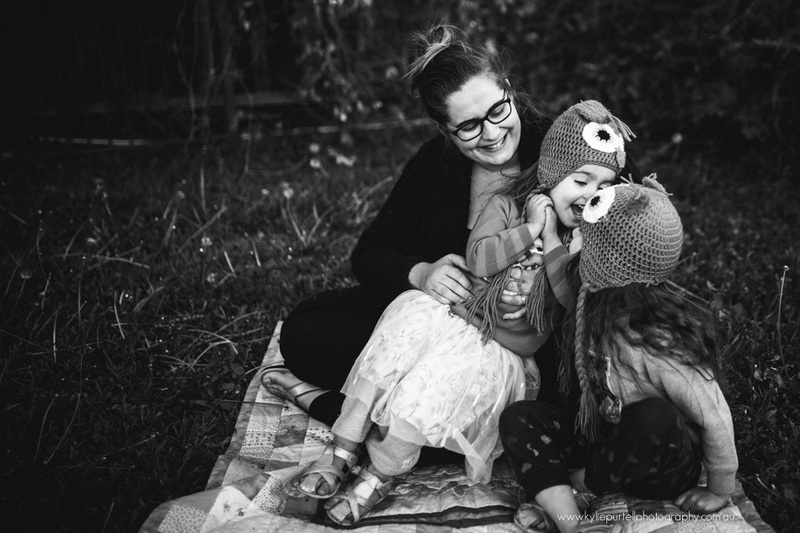 I've struggled with finishing Tafe and going back to being a full-time SAHM. It's left me feeling really low and doubting myself. I've had to think long and hard about my life and the things I want to do and accomplish. I feel like there are all of these things that I should be doing, and in turn, I've felt kind of paralysed. I've been a terrible house wife and poor Dave has had to pick up a lot of the slack I've been giving. So many nights I've done nothing more than lay on the lounge, mindlessly watching TV or losing myself down the rabbit hole of the internet because I just can't bring myself to do anything else. I've always retreated in to books and TV when going through a low period, it helps to distract me and take my mind off things. And as a result of this low period I've been suffering a severe lack of belief in myself, my abilities and my worth. As is so often the case when I go through periods like this, I start to beat myself up about my failures and being "less than" what I think I should be. I count failures and struggle to see my achievements. When I go through periods like this the first thing that is always on the top of the list is my weight and how I look. Intellectually I KNOW that my worth as a person, as a mother, has nothing to do with how I look or the number on the scale. My heart tells me that of all things, that is the one I should be able to have some measure of control over, and because I don't, that feeling of failure seems to magnify my perceived failings in all other aspects of my life. These last couple of weeks things have sort of been coming to a head (pun most definitely intended). I can't keep wallowing in this sea of self-doubt and self-flagellation. It doesn't fix anything. I can't keep hiding from myself in books and TV binges, hoping that if I just ignore how I've been feeling then somehow I'll magically wake-up and those feelings will have disappeared. To be honest, I think it's been coming for a few months. Back in June I wrote a post about taking it easy on myself and making small changes to concentrate on how I was feeling rather than how I was looking or the numbers on the scale. Fixating on my weight is something I've always done when I've been feeling overwhelmed in other areas of my life. It's been baby steps since then. Small changes, little things. It's not been about starting over but keeping going. Putting one foot in front of the other and making a conscious effort to change my mindset and try to focus on the positives in my life and not the failings. Trying to untangle my feelings about my worth from my feelings about how I look. Because intellectually I know that one has nothing to do with the other and I've been trying to teach my heart that. The weird thing is, I don't look at other people and do the same thing, it's never crossed my mind that someone's worth or the kind of person they are has anything to do with how much they weigh, so why I think I'm any different is beyond me. A psychologist would probably have a field day with me! As is so often the case, it's been a bit two steps forward, one step back. I can definitely see positive changes. I'm not feeling as down on myself. I've found new motivation to get things done, I've made an effort to eat better and not think about how I look, and it's all working towards making me feel much better, both physically and mentally. I'm changing the tone of my self-talk, from one of negatives to positives. I'm not magically "cured". I don't think I ever will be. 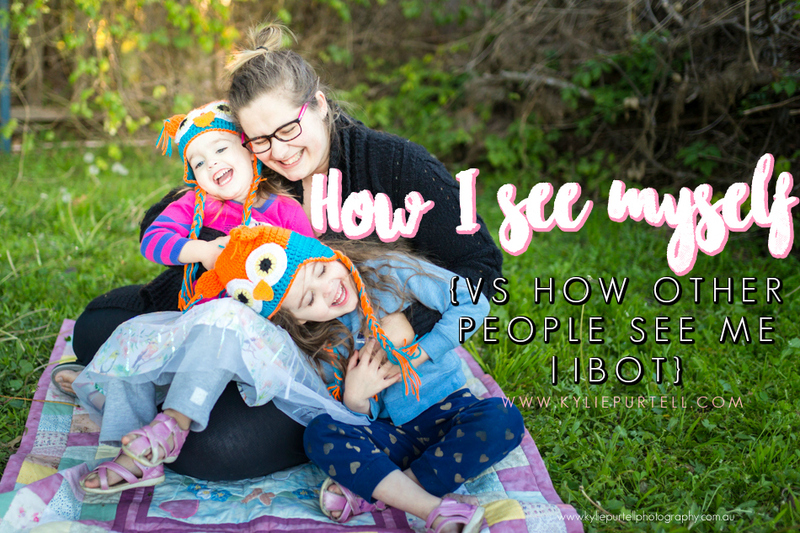 But being able to see myself through my daughter's eyes, it's opened my eyes. I've talked about wanting to be a good example to my daughters but it's one thing to talk the talk and another thing to walk the walk. How can I teach my daughters about self-worth when the words that come out of my mouth don't match the words that I say to myself in my heart? Knowing that my value as a person is not tied to a number on the scale is very different to believing it, but slowly, I'm starting to. It's an ongoing process, and I don't know if it's a process that will ever stop. It will always be two steps forward, one step back. All I have to do is just keep taking those steps forward and be kind to myself when I get to that step back. And now I have this visual reminder. My daughter doesn't look at me and see a fat, useless cow, she's see her Mummy, the one who sits on the ground playing with her and laughing, the one who cuddles her tight when she's feeling unwell, the one whose kiss can make anything better (for now). I don't know why it's taken a crappy phone photo to finally open my eyes to this. And I'm not naive enough to think that this will magically make it all better and I'll be able to stop worrying about how much I weigh. But it's certainly a giant step forward and I can't ask for more than that.